We are a family-owned business committed to giving each individual the best hearing and balance care in Texas. Dr. Burrington is the Lead Audiologist of Texas Hearing Clinics, LLC. Jasmine is a Texas state licensed Doctor of Audiology. She received her clinical doctorate in Audiology from University of Washington in Seattle after completing a Bachelor of Arts in Communication Disorders at Eastern Washington University in Cheney, WA. Dr. Burrington has been in private practice audiology for five years and has a passion for helping people with hearing loss. Her goal is to help each patient with his or her own unique hearing needs to find a solution that improves their quality of life. Jasmine was born with significant hearing loss in both ears and has worn hearing devices since she was 6 years of age. She was cared for by compassionate audiologists during her youth and is committed to bringing that same empathy to every interaction with patients in Texas. Mr. Burrington is the Clinic Operations Director for Texas Hearing Clinics, LLC. Steve is responsible for all operational aspects of Texas Hearing Clinics. 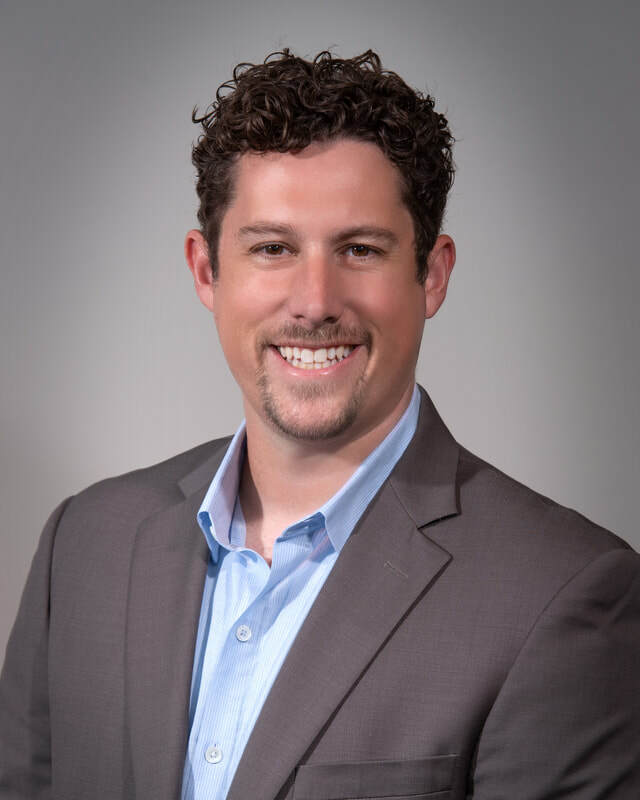 He received his Masters in Business Administration with a specialization in Healthcare from Baylor University in Waco, TX after completing his Bachelors in Business Administration at Gonzaga University. His undergradaute work included concentrations in Operations Supply Chain Management and International Business. Prior to working at Texas Hearing Clinic, he worked for two Fortune 500 companies and for the Department of Energy. Steve has a passion for entrepreneurship and a love for business. He finds himself right at home when helping patients and working on and developing Texas Hearing Clinics in Texas. Hanna Patel is the Clinical Administrative Assistant for Texas Hearing Clinics, LLC. Hanna is currently in her third year of her Doctorate of Audiology program at The University Of Texas - Austin. After receiving her Bachelor of Science in Speech, Language, and Hearing Sciences from the Texas Tech Health Sciences Center in Lubbock, TX. While completing her bachelor coursework, Hanna has worked as a research assistant in a Vestibular/Auditory Integrated Biomedical Laboratory and Signal Processing and Communications Laboratory. Her doctoral clinical experiences include a university clinic, private practice, and the Veteran Affairs Outpatient Clinic in Austin. Hanna will graduate with her clinical doctorate in May of 2020 from University of Texas. She plans to pursue a career in private practice. If she chooses to stay with Texas Hearing Clinics following her doctorate, she will have the opportunity to manage our first Dallas location.